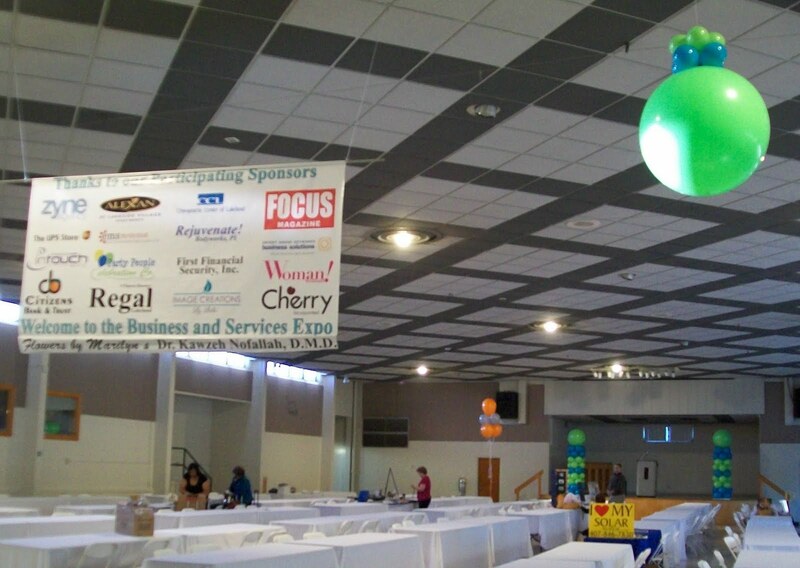 Party People Event Decorating Company: R2 Polk County Business Expo! 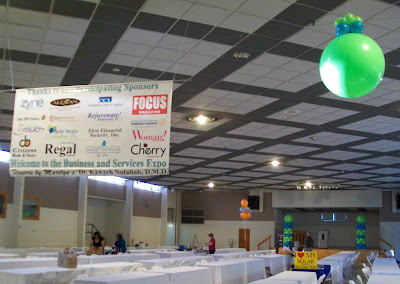 R2 Polk County Business Expo! Fun Party Ball Accent at the base of the Helium Clusters adds extra color! Let us know the Theme and colors for your next Expo, and we will color the space for you. 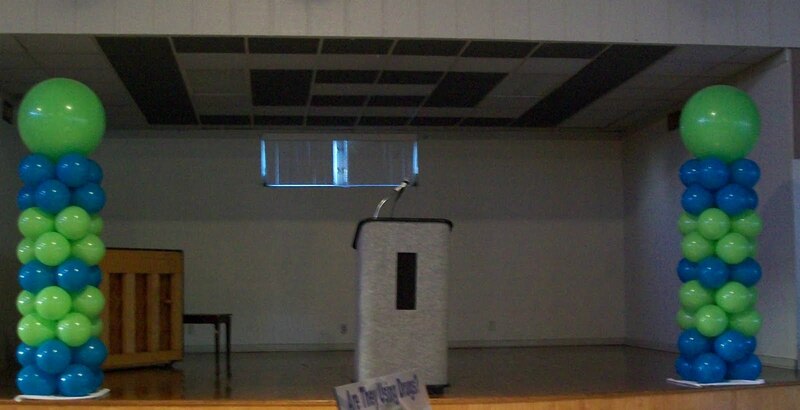 Balloon Arches, Columns, or clusters can be put together to match your Logo and theme. Off Broadway Tony and Tina's Wedding! Joette Became an Award Winning Balloon Designer!